The UN Sustainable Development Summit, held from September 25 to September 27 in New York, marked the official launch of the 2030 Agenda for Sustainable Development. This Agenda —agreed upon by the 193 Member States of the United Nations after two years of negotiations— seeks to irreversibly and globally end poverty by 2030. In addition to this, the Agenda for Sustainable Development aims to “universally promote shared economic prosperity, social development and environmental protection” (UN, 2015). This is to be done by achieving a set of 17 Sustainable Development Goals and 169 targets over the next 15 years. While the task is primarily a responsibility of all countries involved, its success significantly depends on international solidarity and strategic partnerships. Simply put, every country has a valuable contribution to make and a vested interest in achieving the sustainable development goals. To ensure that progress is being made, all countries involved will undertake frequent revisions involving “civil society, business and representatives in interest groups” (UN, 2015). It is also expected that countries in the same region assist each other in tackling common issues. Furthermore, the UN will schedule annual conferences at which the High-Level Political Forum on Sustainable Development (HLPF) will work with the countries on identifying emerging issues and gaps. 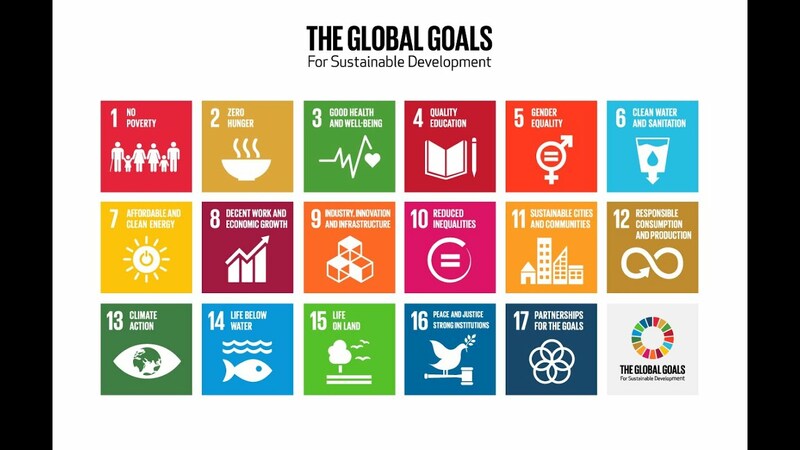 The 17 Sustainable Development Goals serve as a follow-up to the Millennium Development Goals after the goal-setting process proved to be an effective one. They are universally applicable and in fact, it is expected for all countries —rich, poor and middle-income— to incorporate them in their strategic planning. The 17 Sustainable Development Goals, as well as the 169 targets contemplated in the 2030 Agenda for Sustainable Development will be monitored and reviewed on an annual basis using global indicators. The results will be compiled into an Annual Sustainable Development Goals Progress Report. Eradicate extreme poverty and halve the amount of people living in poverty in all its dimensions according to national definitions. End hunger and malnutrition, as well as ensure food availability for all people. Double agricultural productivity and incomes of small-scale food producers through secure and equal access to resources, markets and opportunities for value-addition and non-farm employment. Ensure sustainable food production systems and implement resilient agricultural practices that increase productivity and production, help maintain ecosystems and strengthen capacity for adaptation to climate change. Maintain the genetic diversity of seeds, cultivated plants and farmed and domesticated animals and their related wild species. Drastically reduce the global maternity, neonatal and premature mortality ratio. End preventable deaths of newborns and children under 5 years of age, as well as ongoing epidemics. Also, to reduce and prevent deaths and illnesses caused by pollution. Strengthen the prevention and treatment of substance abuse. Achieve universal health coverage, as well as universal access to sexual and reproductive health-care services. Ensure that all girls and boys have access and complete free, equitable and quality pre-primary, primary and secondary education. Ensure that all women and men have equal access to affordable and quality higher education options. Eliminate gender disparities in education and ensure equal access to all levels of education for the vulnerable. Substantially increase the number of youth and adults who achieve literacy and numeracy, as well as provide them with relevant skills for employment. Ensure that all learners acquire knowledge and skills to promote sustainable development. End all forms of discrimination, violence and harmful practices against all women and girls everywhere. Recognize and value unpaid care and domestic work. Ensure women’s full and effective participation and equal opportunities for leadership in economic, political and public life. Ensure universal and equitable access to safe drinking water, sanitation and hygiene. Improve water quality and substantially increase water-use efficiency and sustainability across all sectors. To protect and restore water-related ecosystems. Substantially increase the share of renewable energy in the global energy mix. Sustain per capita economic growth and promote development-oriented policies, as well as the efficient use of resources. Achieve a higher level of economic productivity through diversification, technological upgrading and innovation. Achieve full, productive and decent work for all women and men. Prohibit and eradicate modern slavery and child labour. Also, to protect labour rights and promote safe and secure working environments for all workers, as well as youth employment. Develop quality, reliable, sustainable and resilient infrastructure, as well as improving existing infrastructure. Promote inclusive and sustainable industrialization. Achieve and sustain income growth of the bottom 40% of the population at a rate higher than the national average. Empower and promote social, economic and political inclusion of all. Upgrade slums and ensure universal access to adequate, safe and affordable housing, basic services and transport systems. Enhance inclusive and sustainable urbanization and capacity for participatory, integrated and sustainable human settlement, including resource efficiency, mitigation and adaptation to climate change, as well as resilience to disasters. Reduce the adverse environmental impact of cities and provide access to safe, inclusive and accessible green areas. Implement a 10-year framework of programmes on sustainable consumption and production. Halve per capita food waste at the retail and consumer level and achieve environmentally sound management of chemicals and all wastes. Furthermore, goal 12 seeks to reduce waster generation through prevention, reduction, recycling and reuse. Encourage companies and public institutions to adopt sustainable practices. Make information on sustainability readily available and support developing countries to strengthen their scientific and technological capacity to move towards more sustainable patterns of consumption and production. Rationalize inefficient fossil-fuel subsidies that encourage wasteful consumption. Integrate climate change measures into national policies, strategies and planning. Raise awareness and educate people in the subject. Mobilize $100 billion annually by 2020 to address the needs of developing countries to mitigate the effects of climate change and operationalize the Green Climate Fund. Significantly reduce marine pollution of all kinds by 2025. Sustainably manage and protect marine and coastal ecosystems, as well as effectively regulate harvesting and end overfishing and illegal fishing by 2020. This also encompass eliminating certain forms of fisheries subsidies that encourage the latter. Minimize the impacts of ocean acidification. Increase benefits to Small Island Developing States and least developed countries from the sustainable use of marine resources. Increase scientific knowledge and develop research capacity. Ensure the conservation, restoration and sustainable use of terrestrial and inland freshwater ecosystems, as well as promote the implementation of sustainable management of all types of forests by 2020. This encompasses the reduction of the degradation of natural habitats and halting the loss of biodiversity. Furthermore, it implies urgent action to prevent the introduction and reduce the impact of invasive alien species. Combat desertification and restore degraded land and soil, as well as ensure the conservation of mountain ecosystems. End poaching and trafficking of protected species and promote fair and equitable sharing of the benefits arising from the utilization of genetic resources. Promote the rule of the law at national and international levels and ensure equal access to justice for all. Substantially reduce illicit financial and arms flows, as well as corruption and bribery. Ensure public access to information and protect fundamental freedoms. Provide legal identity for all. Develop effective, accountable and transparent institutions at all levels and ensure responsive, inclusive, participatory and representative decision-making. Ensure inclusion of developing countries in decision-making. Global goal 17 encourages cooperation between countries at regional and global levels in order to reach the 16 previous sustainable development goals and pave the way for a sustainable, inclusive future. It covers 5 areas: finance, technology, trade, capacity-building and systemic issues. These will be more broadly discussed in another article.